TORONTO, Feb 2, 2017 – The National Crowdfunding Association of Canada (NCFA Canada) today announced that Ben Feferman, Managing Partner, Leverage VC, has joined the Association’s Ambassadors Program. Ben has been an entrepreneur for most of his career, founding companies in media, film and finance. His investment company Amuka Capital has become very active in its venture funding with investments in Enthusiast Gaming (video game), Three Sisters Kitchen (food producer), and Slyce (visual search). His interest in tech investing led him to his current position as managing director of Leverage IT, a full-service digital agency and development shop that is building out some of Canada’s most disruptive mobile apps. In early 2017, Ben will be launching Leverage VC, a new boutique venture capital firm that will support and empower companies in the ideation and development stages. Drawing on his experience in diversified business management, Ben mentors and advises many start-ups on business plan development, go-to market strategies and early-stage funding plans. He has a B.A in law from Carleton University and is pursuing a MBA from the University of Fredericton. “Ben is part of the new generation who understands the potential of crowdsourcing productivity, capital, and resourcing to achieve common goals, and is fluidly contributing to the advancement of these new models and platforms that will ultimately help shape the future of financial services and Canada’s ability to compete," said Craig Asano, Executive Director, NCFA Canada. 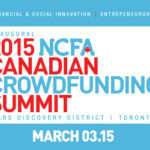 The National Crowdfunding Association of Canada (NCFA Canada) is a cross-Canada non-profit actively engaged with both social and investment crowdfunding stakeholders across the country. NCFA Canada provides education, research, leadership, support and networking opportunities to over 1500+ members and works closely with industry, government, academia, community and eco-system partners and affiliates to create a strong and vibrant crowdfunding industry in Canada. Learn more About Us or visit ncfacanada.org.